A Primus Conduit increases the firing speed of adjacent defenses when charged with Gold. Uncharged - Primus Conduit is not functional, it is not affecting the firing speed of connected defenses. 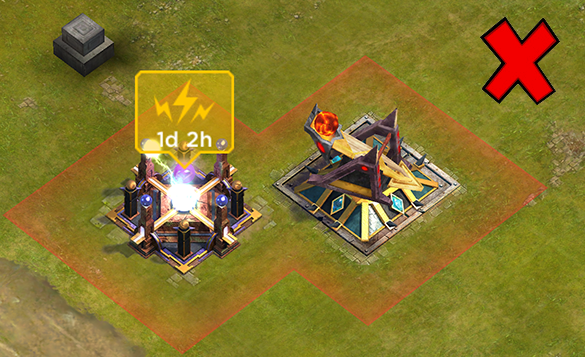 Charged - Connected defenses have X% firing speed increase, as per the 'Charged Increase' column above (up to 24hrs). 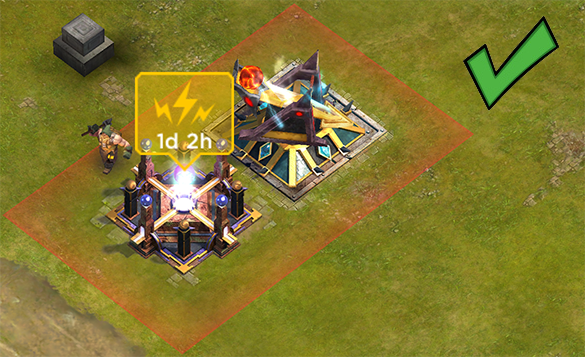 Over-charged - Connected defenses have X% firing speed increase, as per the 'Over-charged Increase' column above (up to 24hrs). 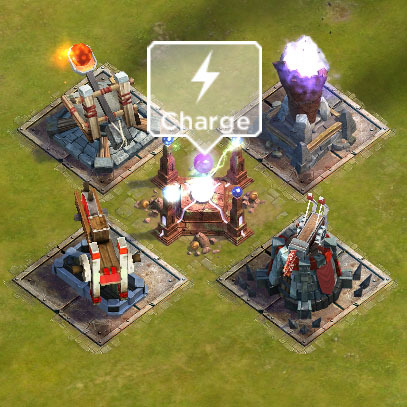 Extended Over-charge - Connected defenses have X% firing speed increase, as per the 'Over-charged Increase' column above (up to 48hrs). 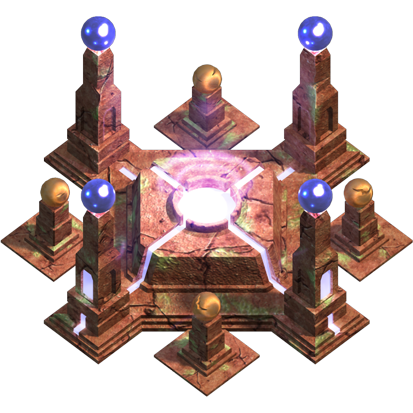 Defensive buildings must directly connect to at least 2 tiles of the Primus Conduit edge in order to receive the increase. 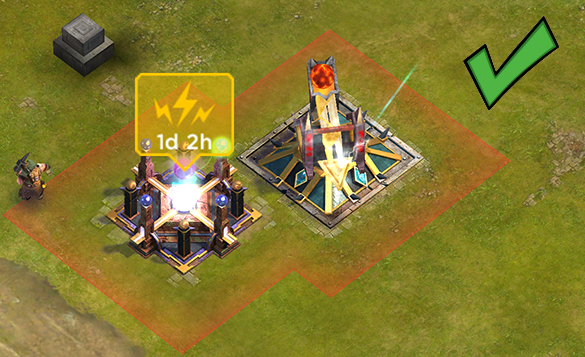 You can connect a defense to 2 Primus Conduits at the same time, which will give you a multiplied increase in fire speed. An Arrow Launcher has a rating of 0.33 attacks per second (1 attack every 3 seconds [calc: 1/0.33]). A level 5 over-charged Primus Conduit, which will increase the attack speed by 48%. To calculate the Arrow Launchers new attack speed: 0.33 x 1.48 = 0.49 attacks per second (1 attack every 2.04 seconds [calc: 1/0.49]). An Arrow Launcher has a rating of 0.33 attacks per second (1 shot every 3 seconds [calc: 1/0.33]). A level 8 over-charged Primus Conduit, which will increase the attack speed by 54%. To calculate the Arrow Launchers new attack speed: 0.33 x 1.48 x 1.54 = 0.75 attacks per second (1 attack every 1.33 seconds [calc: 1/0.75]). 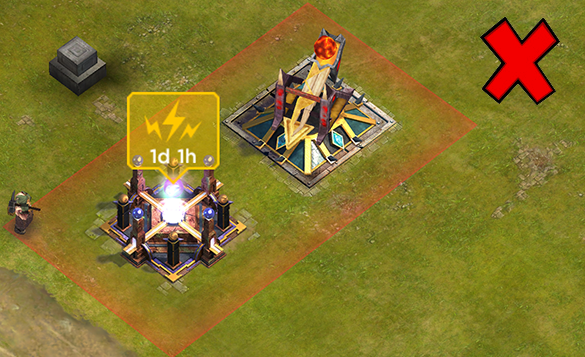 The base attack speed of a level 1 Spell Tower is 0.1 (1 attack per 10 seconds). A level 8 Spell Tower increases the attack speed by 40%, so that's an attack speed of 0.1 x 1.4 = 0.14 attack speed (1 attack every 7.14 seconds [calc: 10 / 1.4]). A level 7 over-charged Primus Conduit, which will increase the attack speed by 52%. A level 9 over-charged Primus Conduit, which will increase the attack speed by 56%. 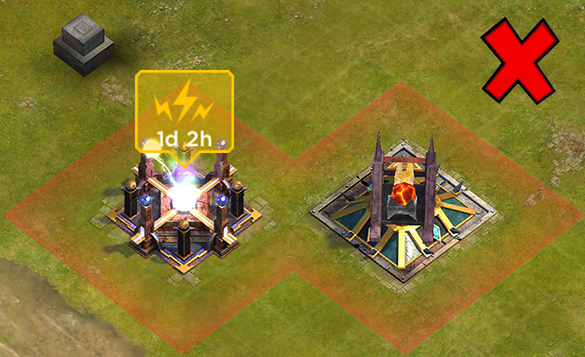 To caclulate the Spell Towers attacks per second: 0.14 x 1.52 x 1.56 = 0.332 attacks per second. 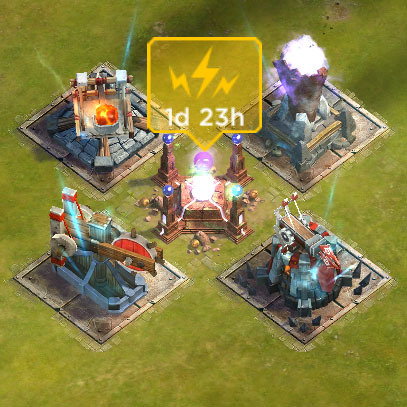 To calculate the Spell Towers attack speed: 7.14 / (1.52 x 1.56) = 1 attack every 3 seconds (calc: 1 / 0.332). Tip: If the defense sparkles, it's being powered by the Primus Conduit! 1. Regen: While overcharged, the Conduit and its targets recover 50 health a second. 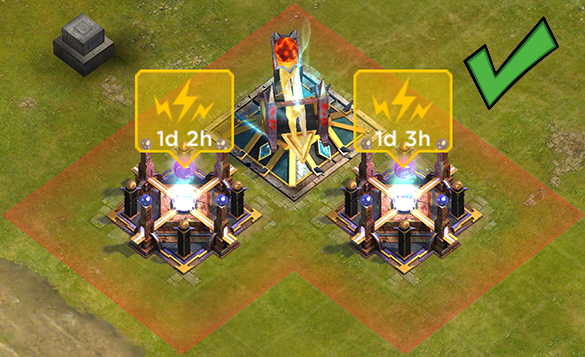 Increases overcharge cost by 50% and cannot stack. 2. 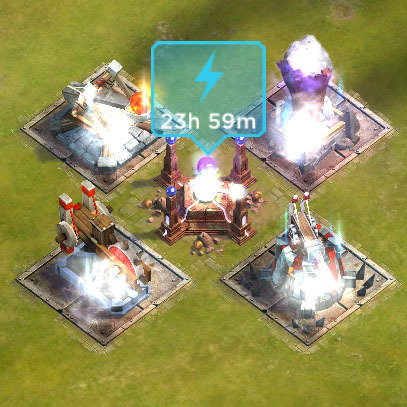 Protect: While overcharged, The Conduit and its targets take 35% less damage from troops. 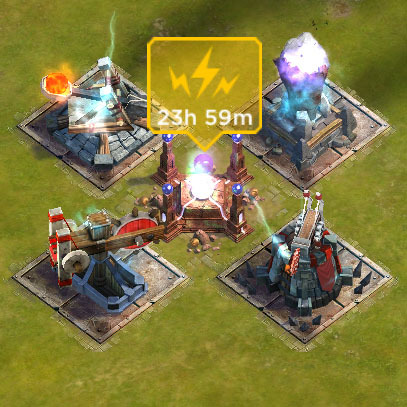 Increases overcharge cost by 50% and cannot stack. 3. Shell: While overcharged, the Conduit and its targets take 45% less damage from spells. Increases overcharge cost by 50% and cannot stack.